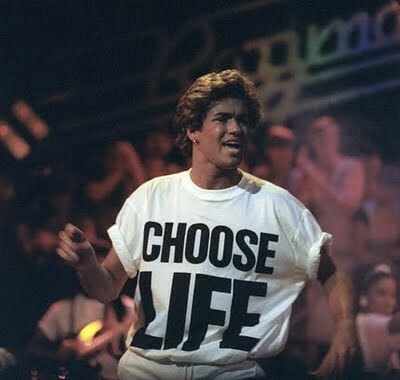 'CHOOSE LIFE' by Wham! 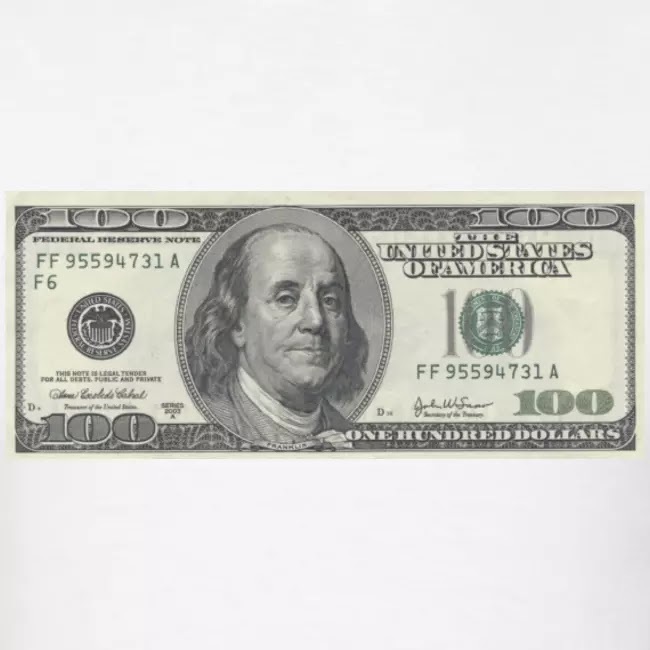 was the most popular T-shirt of the 80s. 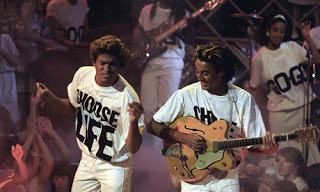 Here you can buy the exact same identical CHOOSE LIFE T-shirt as worn by George Michael and Andrew Ridgeley in the music video “Wake Me Up Before You Go Go”. 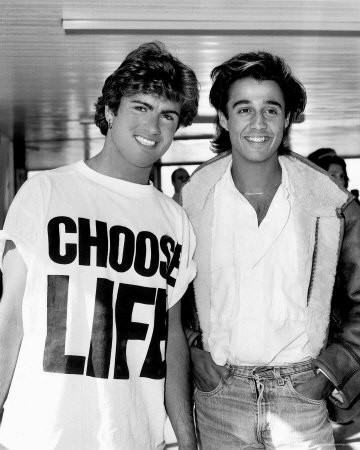 Libellés : Andrew Ridgeley t-shirt, Choose Life by Wham, choose life t-shirt, CHOOSE LIFE tee, George Michael choose life t-shirt, slogan, Wham, Wham choose life t-shirt, Wham!